The Image Control is implemented in the Q2ImgControl component. 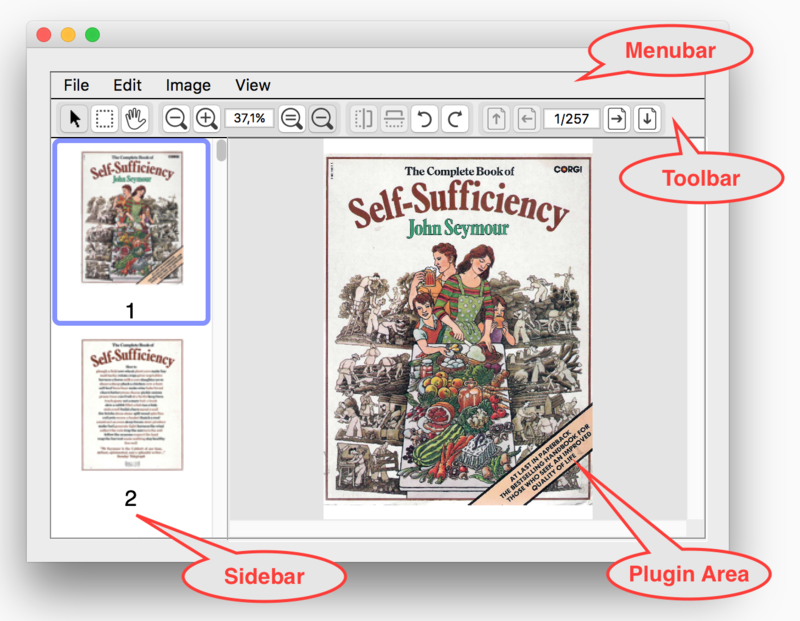 The Image Control comprises the Menu bar, the Toolbar and the Sidebar. It consists of a 4D subform and a set of related component methods. Place the widget and plug-in area objects on the form and properly set up their properties. Add some standard code to the form and object methods. Use component method calls to assign and retrieve content to and from the widget. Use the form editor’s subform tool to create a subform object: this will be your ImgControl widget. Set the subform’s name to something meaningful. The name will be used to address the control with component methods. 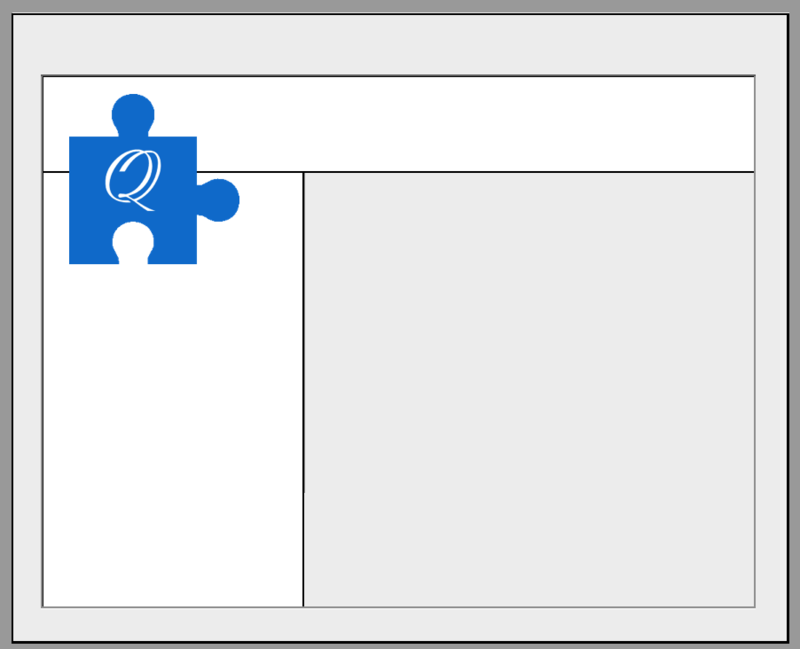 In this example name the subform "img_viewer". To make the control resizable, adjust the options in the Resizing Options group. Use the plug-in area tool to create a plug-in area object over the ImgControl widget. Set the plug-in area name to something meaningful. The name will be used to bind the plug-in area to the ImgControl object. 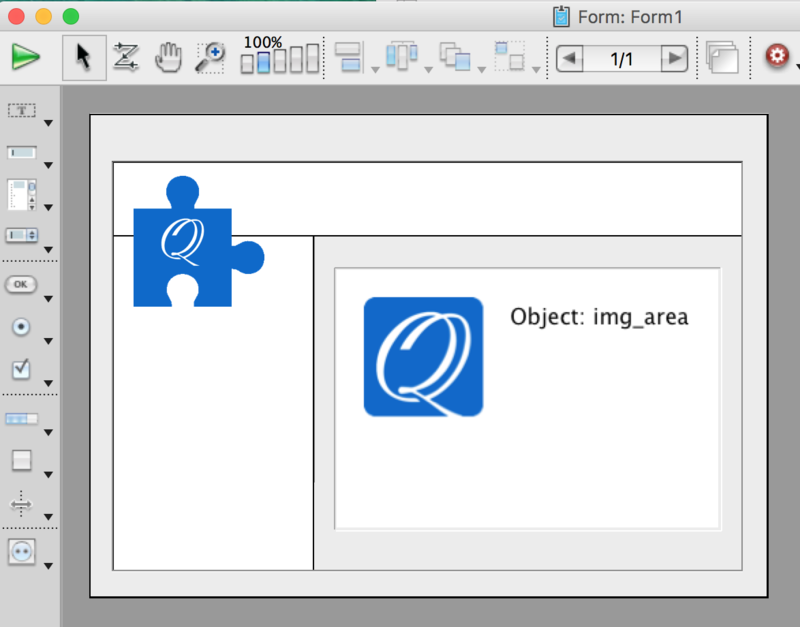 In this example name it "img_area". Initialize and cleanup the widget. Service plug-in area events and internal ImgControl messages. Update the widget and plug-in area when the form is resized. Manage the ImgControl configuration and visibility of its parts. Assign content to the widget. The ImgControl widget needs to be notified of plug-in area events in order to update its state in response to user actions such as selection with the marquee tool. That’s what the ImgControl_PluginAreaEvent method does. The ImgControl widget uses an internal messaging system that lets internal form objects and subforms communicate with code that runs in the context of the host form. The main mechanism for delivering such messages is the CALL SUBFORM CONTAINER 4D method. The ImgControl_ProcessMessages call lets the widget process any pending messages, a behavior that is vital for its proper operation. The call to ImgControl_Initialize during the On Load event initializes the ImgControl context and is balanced with ImgControl_Finalize during the On Unload event. Once the ImgControl is initialized, it is set to the default configuration with the call to ImgControl_Setup. The code during the On Timer event services the control’s internal messaging system, which is vital for the widget’s operation. The timer event is cancelled if there are no pending messages. During the On Resize event ImgControl_UpdateLayout is called to update the control’s layout. The ImgControl widget is configured with a 4D object typically coming from a JSON file stored in the database’s Resources folder. The configuration object describes the control parts: menubar, toolbar, and sidebar. The control is typically assigned a configuration during the On Load form event, but can also be reconfigured during runtime. It is possible to change the appearance and functionality of the control dymanically. The configuration object is assigned to the control by calling either ImgControl_Setup or ImgControl_SetupWithConfig. The ImgControl_Setup method accepts the configuration object directly as a parameter. If the object parameter is omitted, or an undefined object is passed, the method looks for file Q2Pix/Q2ImgControl/Configs/<object name>.json in the database’s Resources folder (<object name> is the name of the subform object). If the file exists, the configuration is loaded from the JSON file. Otherwise, the built-in configuration is loaded from the component’s resources (as in the form method above). The ImgControl_SetupWithConfig method accepts the <config name> as a parameter and looks for Q2Pix/Q2ImgControl/Configs/<config name>.json in the host database’s Resources folder. If the file exists, the ImgControl configuration is loaded from that file. If not, configuration is delegated to ImgControl_Setup. The ImgControl widget is still under development. The format of the JSON configuration object and the way in which the control can be customized and extended will be finalized and documented in a subsequent beta. For now have a look at the configuration files in the component and demo database’s Resources folder, make a copy, and cut/paste parts to your liking. Set the content using a document reference. Set the content using a file path. Set the content using a BLOB. Set the content using a picture. The image frame index can be controlled with ImgControl_GetFrameIndex and ImgControl_SetFrameIndex. The image document currently assigned to the control can be retrieved with ImgControl_GetDocument. Always manage the control’s content using one of the above component methods, instead of addressing the ImgArea plug-in area directly! The component methods automatically perform all needed tasks, such as update the internal state of the control, and the user interface.